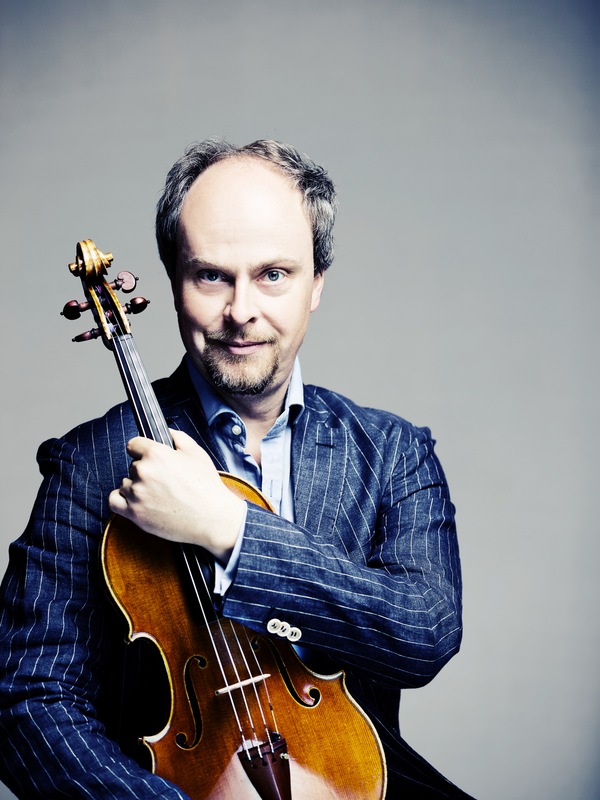 Hartmut Rohde was, in 1993, appointed a professorship at the Universität der Künste in Berlin, he also teaches at the Royal Academy of Music London, where, as a visiting professor and Honorary Member, he regularly gives Chamber Music and solo viola master classes. Hartmut Rohde is a founding member of the Mozart Piano Quartet, which for many years has been regarded as one of the world’s leading Piano Chamber Music ensembles. He was a student in Vienna and Hannover, under the guidance of Hatto Beyerle. Through recognition in various Competitions (1st prize in the Deutschen Musikwettbewerb, the “Konzerte junger Künstler” program in 1990 and prize-winner in the International Naumburg Competition in New York, 1991) Hartmut Rohde’s performing career has blossomed to be intense and richly international. Tours as a soloist and also later with his Chamber Ensembles, have taken him to the USA, Canada, Australia, Asia, the CIS and throughout all parts of Europe. Hartmut Rohde’s main interests lie in the Historic analysis of various musical styles, the application of the rhetorical musical language of the Baroque period and the progression of the Classical into the Romantic era. New perspectives and experiences in the discussion of music serve as a basis for his unique style of interpretation. In 1991 he presented his arrangement of B. Bartok’s Viola Concerto, to which further changes were made in 2010 in preparation for the Premiere in Baden-Baden. In addition, he was the Soloist chosen for the first performance of Franz Beyer’s version of the Viola Concerto from F.A. Hoffmeister. As a soloist Hartmut Rohde has performed, among others, with the Staatkapelle Weimar, the Beethovenhalle of Bonn, the Bremer Philharmoniker, NDR Hannover, the Nordwestdeutschen Philharmonie Rostock, the Lithuanian Philharmonic, the Philharmonie Baden-Baden and the Kapellsolisten of Dresden. In Haydn’s commemorative year, 2009, D.Geringas, J-P. Maintz and H. Rohde toured Germany, Poland, the USA and Italy with the “Baritone Trios” originally composed for Prince Esterházy. For the Season 2011/2012, a program including works from Sándor Veress, L.v. Beethoven and Vladimir Mendelssohn is in motion, as well as Trio tours with Michel Lethiec and Jeremy Menuhin. In 2011, two CD recordings of Classic and Romantic Viola Concertos are planned. 2011 also brings Viviane Hagner, Latica Honda-Rosenberg, Hartmut Rohde and Jens-Peter Maintz together to create the newly formed Joachim Quartett Berlin, a string-quartet which feeds from the immense tradition of the old Joachim Quartet from 1869. Among others he is guest conductor of the Wroclaw Chamber Orchestra LEOPOLDINUM. As a much sought after chamber musician, he has played with Heinrich Schiff, Itamar Golan, David Geringas, Lars Vogt, Daniel Hope, Janine Jansen, Pascal Devoyon, Frans Helmerson, Michel Lethiec, Nobuko Imaii, Antje Weithaas, Jörg Widmann, Jérémy Menuhin, Peter Hoerr, J-P. Maintz, the Tallich- Quartett, Vogler-Quartett, Vermeer-Quartett. Always being open to new possibilities of conveying the language of music is an important aspect of life for him, which is what led Hartmut Rohde also to work in the spheres of Modern Music with such composers as Aribert Reimann, Wolfgang Rihm, Kristof Maratka, Krzysztof Penderecki, Jörg Widmann and Brett Dean. Kent Nagano, Georg Alexander Albrecht, Paavo Järvi, Massimo Zanetti, Christoph Prick, Juozas Domarkas , Pavel Baleff and Michael Sanderling are just some of the many conductors with whom he has worked, in such venues as the Berliner Festspiele, Salzburger Festspiele, Ravinia-Festival (Chicago), Oleg-Kagan Festival, Braunschweiger Kammermusikpodium, “Spannungen” Heimbach, Concert du Louvre (Paris), Mahler-Festspiele Toblach (Italy) and Festival Pablo Casals (France), Concertgebouw Amsterdam, Kumho Asiana Festival in Seoul, Beethoven Easter festival Warschau, Kronberg Academy, International Jerusalem Music Festival, Kuhmo Festival and West Cork Music Festival Bantry. Alongside many Radio recordings with large international broadcasting companies, Hartmut’s CD-recording portfolio has become substantial including recordings with EMI classics, Decca, BMG/Sony, Musikproduktion Dabringhaus + Grimm, Naxos and also the Freiburg Musikforum. In 2003 Hartmut Rohde received the renowned Echo-Classic-Prize and in 2004 the Supersonic Award. Eminent in the Teaching world, he often gives Master classes in Europe, the USA, Australia and Asia. His students have won prizes in various international solo and chamber-music competitions and hold a number of important orchestral positions including with the Berlin and Munich Philharmonic, Staatsoper Berlin, BBC London, HR and Semperoper Dresden. Since 1997 he is the artistic director of the International Max-Rostal-Competition for Violin and Viola, Berlin, and jury member of many well known competitions such as the International ARD Competition in Munich and the Tertis Viola Competition on the Isle of Mann. Since 2010 He works for the publishers PARTITURA and Hofmeister Publishing Leipzig as a publisher and editor. Hartmut Rohde plays on instruments from Michael Ledfuss (2002) and a Giuseppe Fiorini (1899).